We are working closely with the federal and local law enforcement as well as ARDA (the American Resort Development Association) to put a stop to these occurrences which are, unfortunately, becoming more prevalent in our industry. ARDA has provided a helpful library of articles on this topic at http://www.arda.org/advisories. If you encounter any instances of scams, you may contact us with the details at memberservices@resortcom.com. We have recently learned that, unfortunately, per agency protocol, we are unable to file a claim on your behalf with any of the aforementioned agencies. Claims must be initiated by the actual victim of the scam who will be able to provide the details to the authorities in a first-hand account. 1. Make a complaint with the Federal Trade Commission. Contact the Business Fraud Division by calling 1-877-382-4357. 2. Report your experience to the Attorney General’s Office in your home state. Contact information will vary by state. Please consult the internet or your local yellow pages. 3. 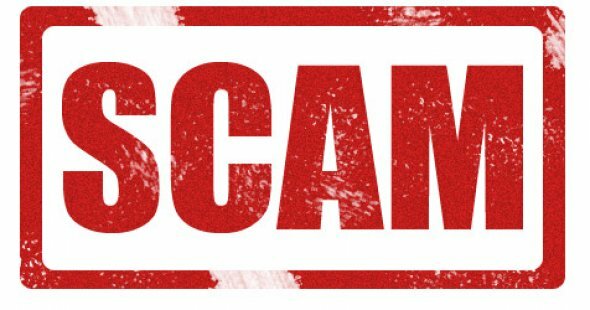 If you are provided with additional written materials from the scammer or receive additional telephone calls, please follow up with us by emailing the information to memberservices@resortcom.com and they will add additional details to your file. 4. Report fraud to the American Resort Development Association (“ARDA”). Find contact phone numbers at http://www.arda.org/advisories. I receive many calls from companies wanting to purchase my timeshare. The most recent company is Ace Travel Agency Inc. from Ohio. I wonder where do these companies get all of our information. We are very interested in selling our timeshare as we are not using it. Who can we contact to do this for us. Is it part of UVC services? Please let me know. Also let me know if you want any further info on Ace Travel Agency. Looking forward to your response. Currently, there is no mechanism offered by the Club to assist in the resale of your membership. Although there are resale companies in existence, the Club does not recommend or endorse any of these organizations. If you would like to transfer your membership to another person please contact Member Services at memberservices@resortcom.com or 1-800-852-4755. Memberships must be paid in full and have current maintenance fees to begin the process. Member Services will provide you with the necessary information and documentation to complete this process. Thank you for letting us know about Ace Travel Agency. Our Member Services Department is looking into this. We are current ow ers at UVC. If you dont mind me asking what you own week/points wise we might be interested in speaking with you about purchasing it from you. Thank you for reading our blog and submitting your inquiry. Please contact Member Services at memberservices@resortcom.com or by calling 800-852-4755 so an agent can look into your account and best provide you with this information. I have received numerous calls from Ace Travel Agency offering me a large sum for my timeshare. Sounds too good to be true, so I am sure it is. I have also checked out their website that says they have 200 locations, but I cannot find any, and they do not list them on their website or tell you how to find them on their website…..RED FLAG!! I have also checked out the two addresses that they do give, and one is the address of Key Business Centre in Idaho, and the other is a virtually empty street corner with a Dairy Queen, a Panda Express, and a Subway in Couer D’Alene Idaho. compre un tiempo compartido bianual, y desde hace un par de semanas he recibido frecuentes llamadas de Sellmytimesharenow.com ofreciendome la compra de mi tiempo, que la verdad necesito vender. Favor les consulto si esta empresa trabaja con ustedes, y que me puedan dar un contacto para consultar como se perfecciona la venta (termino del contrato, entrega del pagare), de tal modo de no verme envuelta en alguna estafa como las que ustedes mencionan. Hola Alejandra, Gracias por su consulta. No estamos asociados con o respalda a ningún empresas de reventa, incluyendo Vender mi tiempo compartido ahora. Por favor tome las precauciones mencionadas anteriormente para evitar posibles fraudes. Received call from Nancy (1-800-444-4456, ext 224) asking if I wanted to sell up to 6 weeks of my time share at Cabo. I expressed interest so she connected me to Dean Evans (same phone number, ext 252). They said they were connected with Villa Group. They could find people willing to pay up to $2500 per week. If agreed, I would have to pay $899 up front so that they could verify my ownership in a Cabo timeshare. Thank you for your inquiry. Unfortunately, the call you received is a scam. The number you provided is linked to Resort Timeshare Resales and there are many consumer complaints regarding this business. Requiring any fees up front is generally a sign of a scam. Please contact Member Services at memberservices@resortcom.com or call 800-852-4755 so they can notate all the details of this consumer. I own at Villa Del Palmar, PV. I have just received a letter from Property Management Communications stating that I now qualify to permanently eliminate all future Maintenance Fees, including but not limited to my 2017 Maintenance Fee Bill. Certain restrictions apply. I have to respond by March 15. Is this a scam? Can you please email the specific information to memberservices@resortcom.com? This way we can look at this more closely and provide you with an update. We were scammed twice. First time by one of your representatives at your resort. Second time by someone wanting to purchase our timeshare. I am forwarding your message to Member Services so that we can further look into your inquiry. Please be on the lookout for an email from Member Services within the next 72 hours so that they can process a scam intake with your information. If you would like to speak with an agent right away please call Member Services at 800-852-4755. Thank you. I have been offered a VPA resale membership from a current member who has advertised over the internet. It is for a 2 bedroom unit with 2,200 VPA points annually. He has been paying maintenance fees of $87 per month. He has sent me a copy of his current dues statement and his original contract by email. He has also shown me his loan document showing as paid in full and his points balance. He assures me that the membership is transferable. I have no reason to doubt his documents, but am unsure whether UVC will recognise the transfer of his VPA points balance and give me all the rights and privileges that he currently has. I have heard that a VPA membership if sold will revert to a Premier membership and that the balance of VPA points held will be cancelled upon a transfer. Is this true? Thanks for clearing up this question for me. Thank you for your message. Please be advised that Member Services will be contacting you today to follow-up on your inquiry. In the meantime, thank you for your patience.